Your new favourite travel companion! 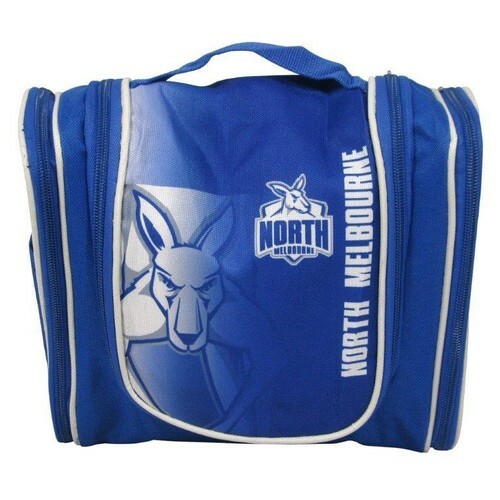 With a North Melbourne Kangaroos Toiletry Utility Bag you can travel all over the world and still have a part of the North Melbourne Kangaroos with you! With two separate side compartments and plenty of storage options in the middle, this lined interior wet pack utility bag will keep all your toiletries organised and in place, ready for easy access when required. 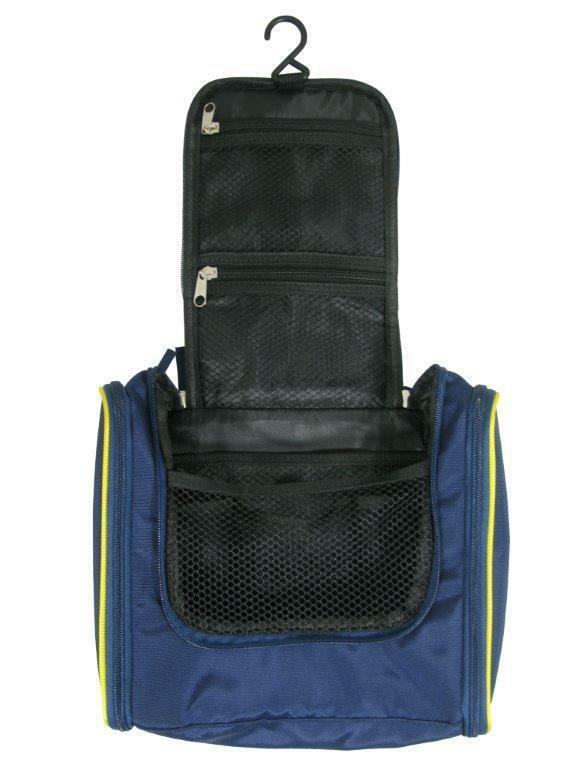 The middle compartment's opening flap also has a hook so you can hang the bag wherever you may be. 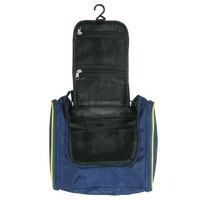 This compartment also has additional mesh zipped sections to help keep items even more secure. With the clubs logo on the front, and measuring approximately 23x23cm, this North Melbourne Kangaroos Toiletry Utility Bag will become you new favourite travel accessory!